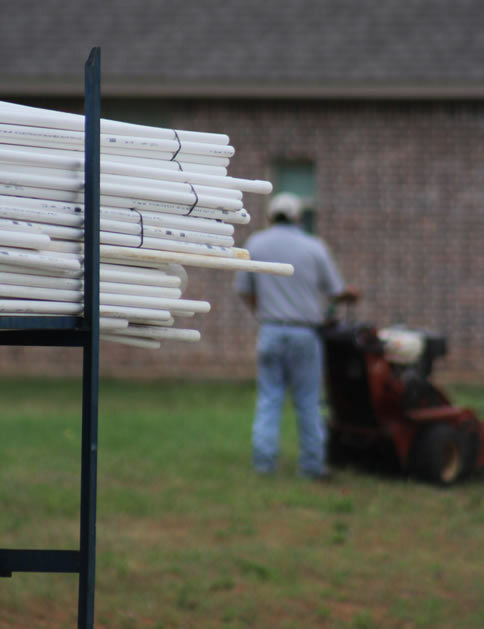 Sprinkler Installation, Sprinkler Repair, Drainage Control for Fort Worth, Burleson, Cleburne, Mansfield, Aledo, Grand Prairie, Weatherford and surrounding area. 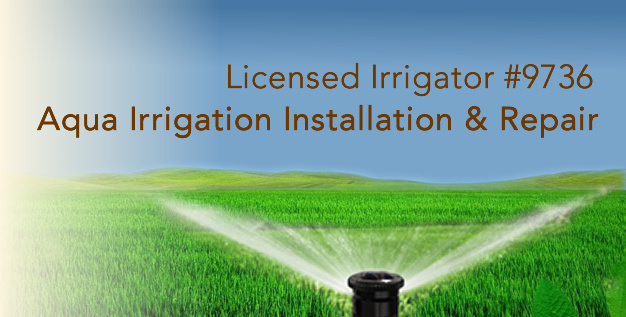 Aqua Irrigation is a licensed Irrigator in the State of Texas with a background history that exhibits skill and professionalism. In today's world that sometimes is not enough encouragement to hire a contractor. Today our society needs clarification and customer reviews. Please review our customer clients on this website or on the many social media sites listed on the World Wide Web. 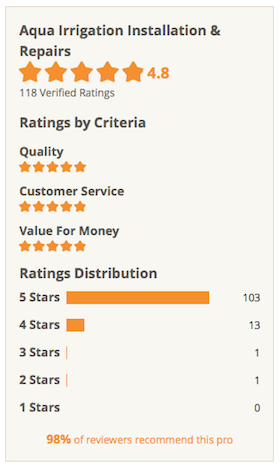 We are honored to have our new customers and our repeat customers feedback. Our service area includes the Fort Worth Metroplex area and surrounding cities including Grand Prairie, Mansfield, Burleson, Arlington and Weatherford. - Review by Richard H. in Fort Worth, TX Project: Service a Lawn and Garden Sprinkler System They did quality work and finished within contracted time frame. Very professional. - Review by Kristin J. in Hurst, TX Project: Install a Lawn and Garden Sprinkler System Aqua Irrigation did an awesome job at installing our irrigation system. The quality of work was great and they left the yard in as good a shape as can be expected with a sprinkler system install. I would definitely recommend this company. - Review by Elliott R. in Grand Prairie, TX Project: Install a Lawn and Garden Sprinkler System Luis came out quickly provided me with an estimate and a no pressure sales offer. Luis provided me with the options and I decided on the plan that worked best for me. Luis and his team were on time and completed the job when promised. I also appreciated the fact that my business seemed to be important to him and his company. I would definitely recommend them to my friends and family. - Review by Hayley V. in Aledo, TX Project: Service a Lawn and Garden Sprinkler System Great service!! Luis was very personable and got the job done quick and efficiently!! Would definitely recommend him for your sprinkler installation and/or repair! - Review by Cindy P. in Roanoke, TX Project: Install a Lawn and Garden Sprinkler System Extremely easy to work with, responsive to all emails and calls and questions. Crew was awesome, friendly, and cleaned up after themselves. They did a great job and we are very pleased! I would recommend them to anyone! We had a huge project putting in a sprinkler system for our entire new yard. - Review by Casey E. in Boyd, TX Project: Service a Lawn and Garden Sprinkler System Luis called me quickly and repaired the leak in my sprinkler system right away. The price was very fair. I will be calling him for any future repairs.